Tom’s first bike was a Yamaha 1975 TX500A that he rode to and from college over in eastern Washington. 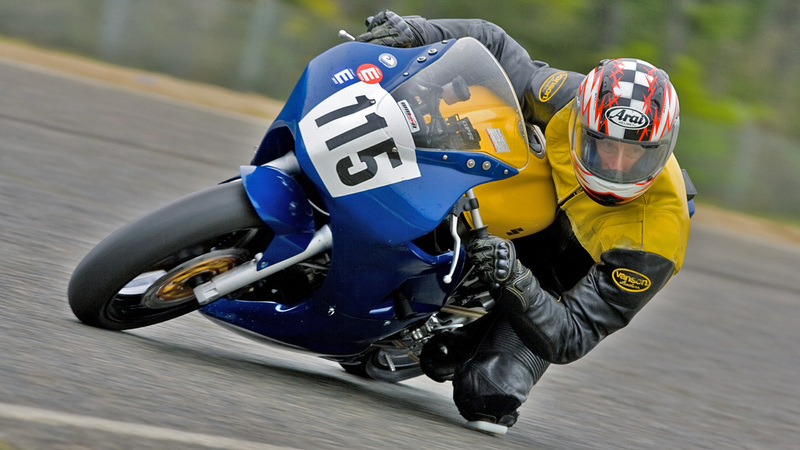 After riding for many years on the streets and highways of Washington he decided that the track was the best way to improve his skills, so in 2005 he got his race license with WMRRA. But it was riding with 2Fast the following year that really helped him the most, with its class time, great instructors and the legendary Lean Machine. Tom is a technical inspector for WMRRA and has two bikes race prepped. You’ll see him on the track with 2Fast on a blue ‘06 SV650S and a red ‘04 GSX-R750. For the back roads he still has a GSX-R 1100L, a GSX-R 750Y and his first race bike, a SV1000S K3. Tom lives in Olympia, WA with his wife, who graciously indulges his passion for motorcycles. They have a daughter in Phoenix, who has inherited that passion.